Where to Write Razor Code? In this chapter you will learn the interface there you can start writing razor code. If you are MVC developer then you can directly use Razor syntax in your project but if you are learner then we advise you to use Microsoft WebMatrix tool. It is light weight and freely available at Microsoft site. When I have downloaded WebMatrix 3 it was only 17MB. Its interface is like Microsoft word but have Intellisense power. 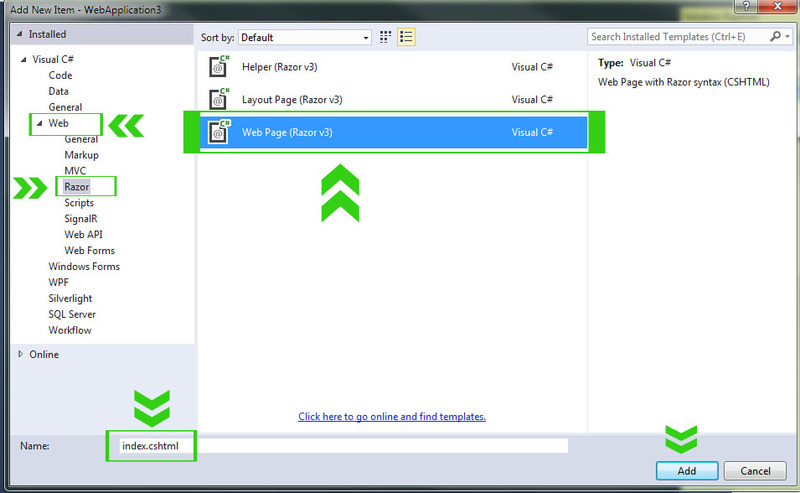 Quickly debug webpages with IIS and generate output in your favorite browser. 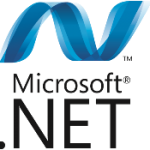 It includes IIS Express, ASP.Net and SQL Server Compact. 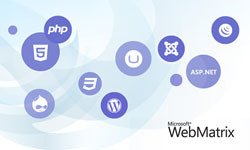 If Visual Studio 12 or earlier version is installed in your PC then you can directly download and install WebMatrix. WebMatrix looks for following prerequisites in your PC. 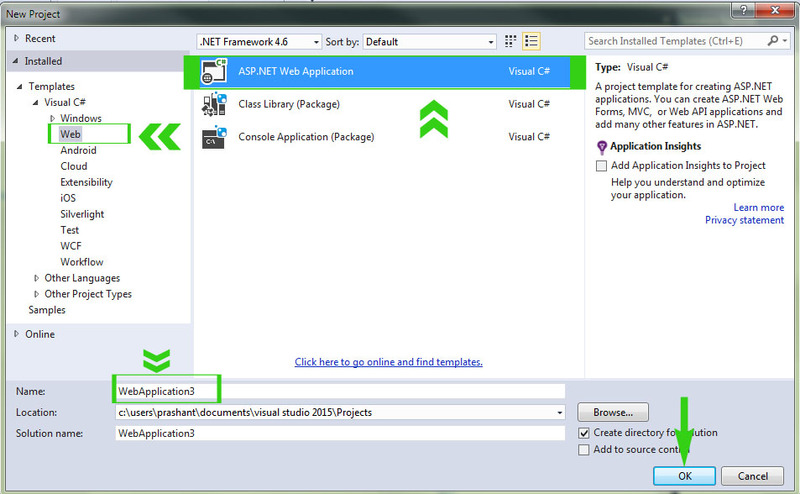 Step 1: Download .Net Framework if you have not installed Visual Studio. 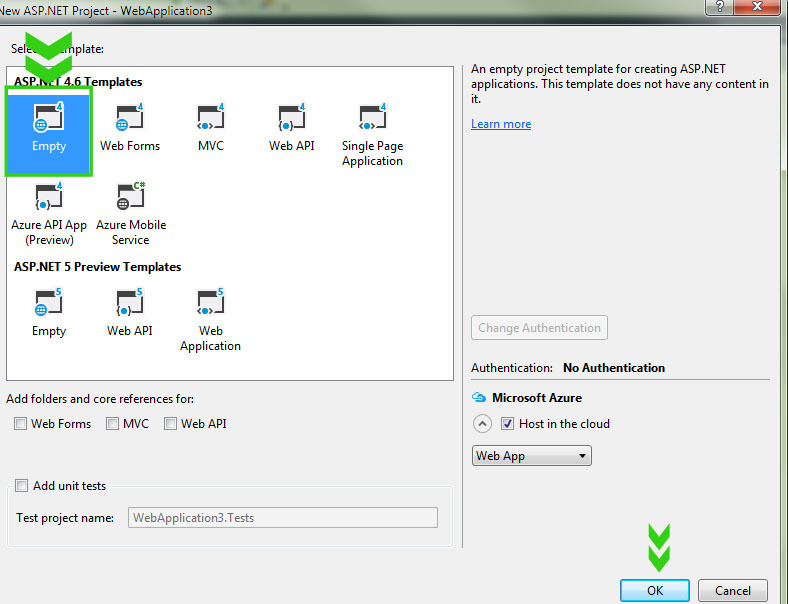 Step 2: Download IIS8 if you don’t installed Visual Studio 2012 or earlier Version. 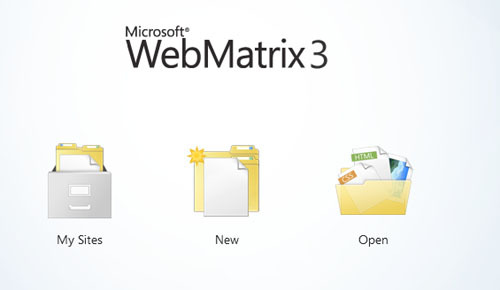 Step 3: Download Microsoft WebMatrix. Note: If you are running Visual Studio 2015 then WebMatrix wouldn't be installed because it strictly look for IIS7.5 or IIS8. 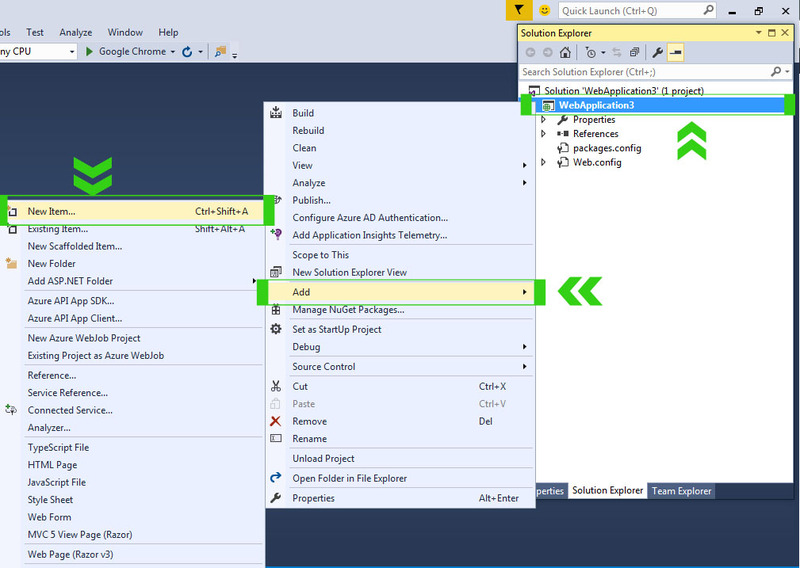 Visual Studio 2015 uses IIS10. So, uninstall IIS10 from control panel and then install IIS8. Now, we assume your PC is configured with WebMatrix and you are ready to write Razor code. 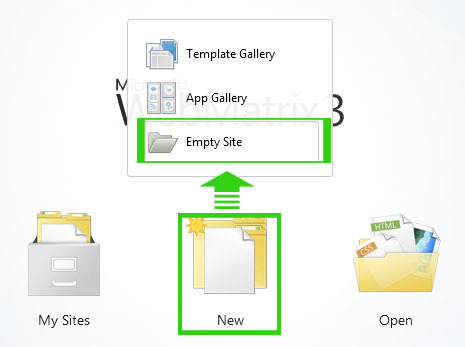 Step 3: Click on Create New File link. Step 4: Select .CSHTML File. Give the name it index.cshtml and click OK.
Now write the following code inside <body></body> and click Run button which is on Top Left corner of the application. 1 Hello Razor. How Are You! 2 Hello Razor. How Are You! 3 Hello Razor. How Are You! 4 Hello Razor. How Are You! 5 Hello Razor. How Are You! Note: If you forget to rename the page name as index.cshtml then add page name followed by slash (/) in url. 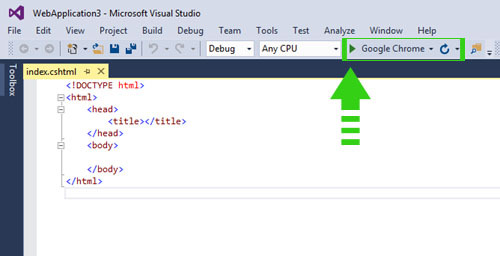 If you have installed Visual Studio 2015 or you have updated Visual Studio 2012 then you can use these editors for writing Razor Code. 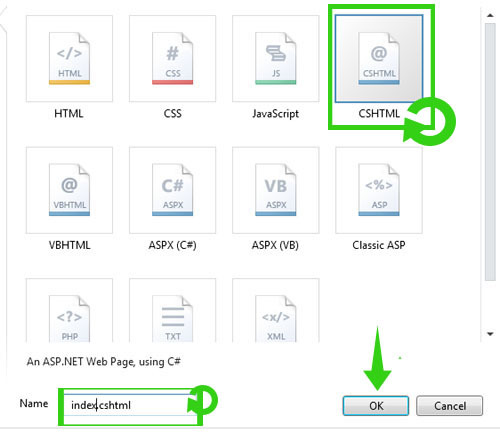 Step 3: Select Web ASP.Net Web Application. Give the name of your Project and click OK. Step 4: Now select Empty website and click OK. Your project will open Visual Studio Code Editor. Step 6: Select Web Razor in Left Pane and select WebPage(Razor V3) in Middle pane. Give the name index.cshtml and click Add button. Now the index.cshtml page is open in visual editor. 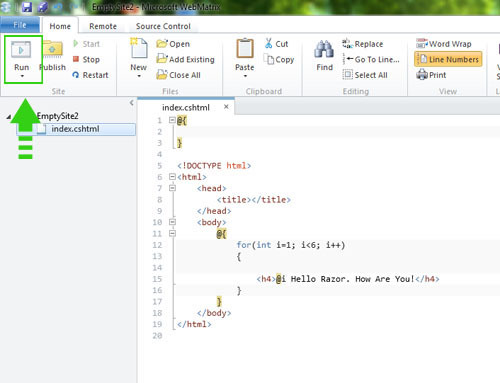 Write following code to test razor syntax and debug your program. 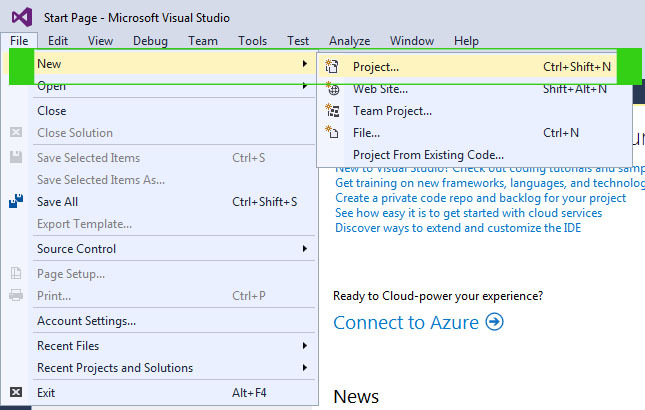 In this chapter you have learned both ways to write Razor code, Visual Studio and WebMatrix. Visual Studio is for Developer and once you'll become master in razor and start developing your project, visual studio will be great tool for you. But for learning Razor, WebMatrix is best because it is easy and it doesn't add any complexity. In the next all tutorial we will use WebMatrix for run Razor code. In the next chapter you will write your first Razor code in WebMatrix and Debug your program.